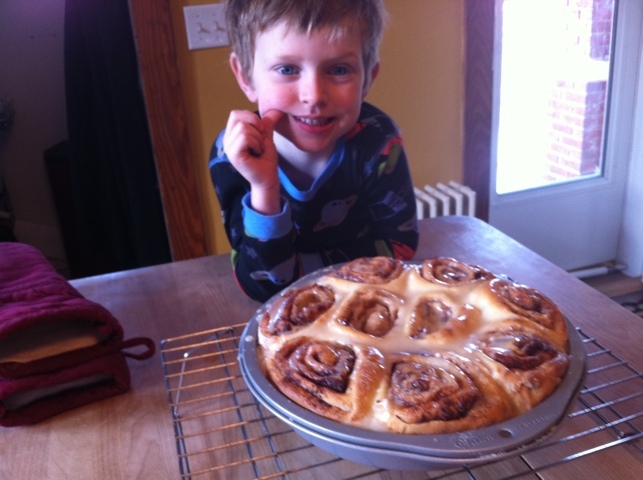 jackson had a big idea today — let’s bake something! so he got out his “favorite cooker’s book,” also known as paula deen’s cookbook for kids (don’t ask! 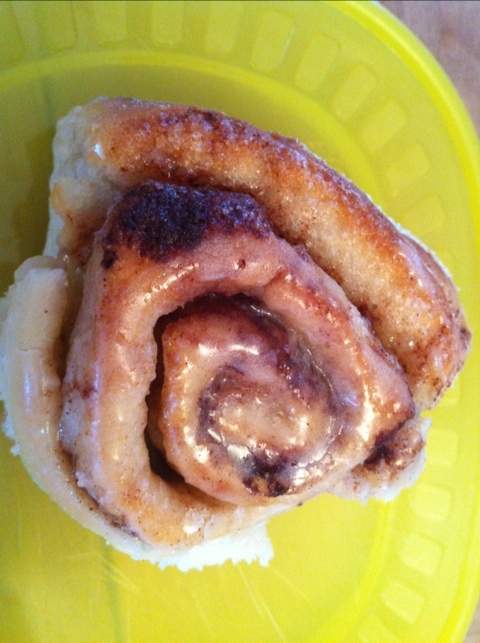 ), and found a cinnamon bun recipe. of course, paula wanted us to use a can of crescent roll dough, and not only did I not have any, but I also took offense! I mean, how hard could it be to make them from scratch? well, we found out — not too hard at all! time consuming, yes! messy, yes! but worth it? yes!!! so worth it. 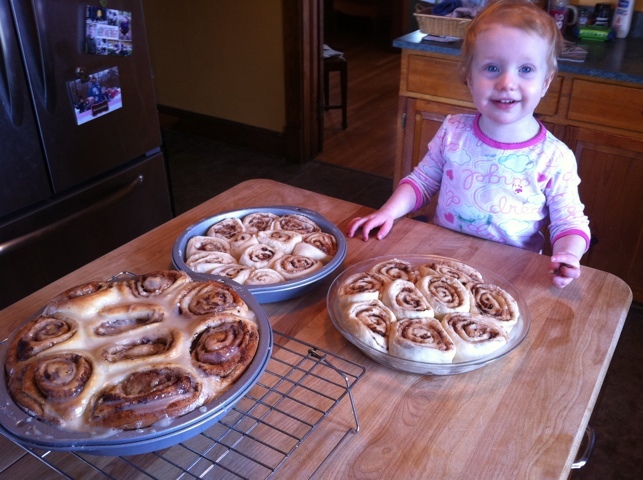 special thanks to one of molly’s favorite “cooker” blogs — the pioneer woman — for the recipe and great instructions. deeeeee-lish! i don’t remember, but take your word that we did. any pics of us baking from back then? Yummy, yummy! Dave, do you remember doing that with me when you were about Jackson’s age? We usually did it when Aunt Marion came to visit! shortly after arriving home from our whirlwind tour of eastern pennsylvania, our family’s portable hard drive took a turn for the worse and we thought all (meaning our last 6 years’ worth of personal images and videos) was lost. after a few friends tried to help out, we turned to some pros. and voila! we got everything back, including all our videos! yay! so, here it is, our long overdue post on our fun times in doylestown during the holidays! presents, presents, cute baby girls and snow! we enjoyed ourselves for almost a whole week in d-town, meeting our newest niece, ginger miriam, having a date night with matt and naomi (way too much fun, needs to be done more often) and just plain hanging out with grandma and grandpa. along the way we took a few pics, but for the most part we just enjoyed everyone’s company. looking forward to a planned trip out west to see more of the idaho spences soon! look what santa brought jackson… a big kid bike! super cool, dude! the girls and their aprons from jan.
it’s the crazy hat family! got your hands full there, matt! the girls loved taking baths together! lots of splashing all around! jackson thought the girls were wacky! naomi trying to read the girls a story, but there was just too much squirming! ginger is a master of the serious stare. but get her started on laughing or talking and watch out! she’s a riot! she’s not a fan of the hugs, phoebe. …and big brother jackson loved it, too! Wow! How great is that! It looks even better on video than it did in person. Dave, you are very talented. sledding in d-town, right next to grandpa’s house! fun! our favorite toy store, dancing bear toys and gifts in downtown frederick, hosts santa each year for one day only. and we’ve missed him every year we’ve lived here! that is, until this year! we marked it on the family calendar and arrived at the bear promptly at 4 o’clock. it took a whole lot of prodding before jackson would approach the big guy. the kid’s just painfully shy. no surprise there. but phoebe’s reaction? well, that was totally unexpected.